Is it ok to take Creatine caps while taking a weight gainer? Absolutely! There is not a problem for those who are trying to gain weight to take creatine caps along with their weight gaining shakes. As a matter of fact, this combo is a phenomenal stack as long as you follow a few guidelines. 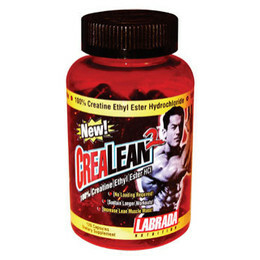 Creatine is produced naturally in the body and has been proven to help increase strength levels. I remember the first time I took creatine I gained 5 pounds and went up 15 pounds on my bench press back at the age of 16. I thought that this stack was the best thing since oxygen! It was not until college that I was having trouble gaining weight that I used creatine and a weight gainer to break the plateau. Sure enough, with a good training regimen, diet, and a creatine/weight gainer stack that I was able to gain 7 pounds of muscle and not gain inches around my waist. However, I suggest using a few prescribed guidelines if you do decide to use this muscle building stack. 1) Drink a minimum of 8 cups (64 ounces) of water daily to help your body process the creatine efficiently. 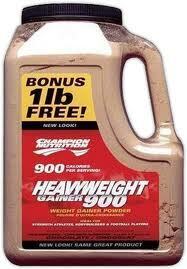 2) Make sure you use a weight gainer that is low in sugar as anything that is high in sugar can cause you to gain weight around your waist. Other than that, remember to follow a good diet and training routine and you should be well on your way to gaining the muscle you have been wanting!